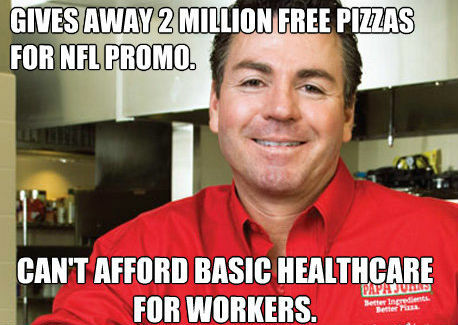 Papa John’s CEO John Schnatter said he plans on passing the costs of health care reform to his business onto his workers. Schnatter said he will likely reduce workers’ hours, as a result of President Obama’s reelection, the Naples News reports. Schnatter made headlines over the summer when he told shareholders that the cost of a Papa John’s pizza will increase by between 11 and 14 cents due to Obamacare.